CAST Software's lighting design suite, wysiwyg Perform, is a crucial component of the bespoke system used to illuminate Medieval sets on HBO's big-budget TV show, Game of Thrones, it has emerged. wysiwyg has been used to create lighting designs for the epic fantasy series since 2011 and the start of filming for Season Two, which saw Belfast-based Key Console Systems take over lighting duties using a specially adapted rig put together by company director, Keith Shanks. At the request of production executives, who had been impressed by his work on the first season of the show, Shanks designed a new lighting system, which saw the introduction of wysiwyg and ChamSys MagicQ consoles to the Game of Thrones set. Prior to this, Shanks owned a stage lighting rental company, which he subsequently sold to launch Key Console Systems, with HBO as one of its first clients. He had gained experience using wysiwyg handling production design for Queen tribute act Flash Harry, when the band performed alongside an 80-piece orchestra at Belfast’s Odyssey Arena. Shanks pre-programmed the show entirely, using wysiwyg to stunning effect, and notes that, apart from a few focus tweaks on the day, there was little more to do once the wyg design was complete. This alerted him to the software's potential in the television production sphere. "In another life I used to use Stardraw, the 2D lighting design package, but it was very limited in terms of what you could do, so when this opportunity arose I knew wysiwyg was the only way to go. I'd already planned to do the 3D thing, so I did some research into the Perform version and decided to go with that. Based on the use of wysiwyg, I chose ChamSys MagicQ 100 & 200 consoles with Play Back Wings to make sure everything gelled well together – wyg and ChamSys work hand-in-hand with each other. I found no issues here at all; they connect seamlessly, every time." Shanks uses wysiwyg for the entire virtual stage of the set lighting design – Autodesk's AutoCAD is not used in this application, either by himself or the show's art department, which, he points out, "prefers to use pencils and rulers". In the place of electronic plans, they provide him with A0 scale drawings of the set, which he then re-draws to scale within wysiwyg. Finally, he takes photographs of the actual set and imports the textures onto the drawing, so the resulting renders are exceptionally faithful to the real thing. "Most of the plans I will have finished two or three weeks before filming, sometimes sooner," explains Shanks. Once they're done, the Gaffer or DoP (Director of Photography) will give me the lighting design that they want to use. I'll then import those lamps and heads into the system and we can see where they want to go with it. We can effectively do a 'pre-light' with wysiwyg – it's a very good starting place." At any one time, Shanks and his team use two full Key Console systems, which means two separate machines running wysiwyg simultaneously for two different filming units. They also keep a third on standby to facilitate location shoots and/or swift set changes when there is not enough time to move the console between stages. 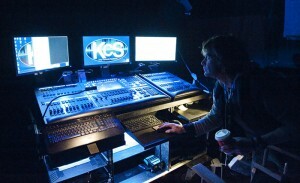 When it comes to delivering his lighting design live during filming, Shanks will be found on the set floor with a tablet device running ChamSys software that allows him to work in direct contact with the Gaffer or Director of Photography, rather than being isolated in a room behind the scenes. This allows him to offer them a level of control that speeds up the lighting process immensely, whereby on-the-fly adjustments can be communicated much clearer and easier than by radio. This facility has been very well received by productions, as has Shanks' ability to show them that what they see within wysiwyg is exactly what they will get on the set. "I was asked maybe a dozen times last year by the VFX team about which particular lamps were used at what level in the previous scenes," he says, "and every time I was able to go back into wysiwyg and actually show them, which was so helpful, they loved it." "I get a video feed from the main cameras and I take frame-grabs so I have photographs of what we actually shot at the time," he says. "This, of course, ties in with what wysiwyg is doing and the console will have a cue number and a state number, so I can call up anything fairly quickly if we need to look or go back on it. wysiwyg will let us see how the lighting looked at the time, and I can also print off plans if I need to for the floor electricians. The 2D version isn't of much use to the art department, but the 3D renderings, they think are just amazing – as do I." "One of the art directors was absolutely blown away by the whole thing – he didn't know that this kind of interactive program existed until I showed him. 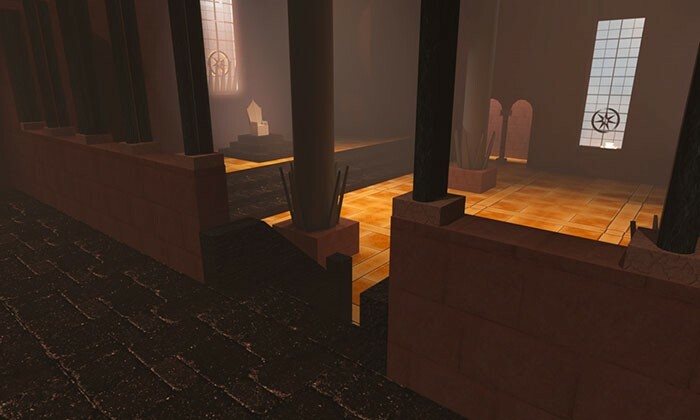 He was aware of AutoCAD, but the fact you could incorporate lamps, set levels and more, he was overwhelmed by." wysiwyg R30 update is available now from the Members Only Area of the CAST website: www.cast-soft.com, where a demo version, comprehensive product information, and a showcase of the breadth of projects on which wysiwyg is pivotal, are also available. New releases are free for members. In picture: Keith Shanks at his Key Console system and a wysiwyg render of the Throne Room and photograph taken from the same angle.